We have loaded your account with some example data, so you can get a first impression of what you can do with PushMetrics. You can remove the demo data and add it again at any time in the Settings section. If you don't use Slack, just skip this step and use PushMetrics with good ol' email. Well, browsing with demo data is fun but without your data, you can't really do anything useful in PushMetrics. 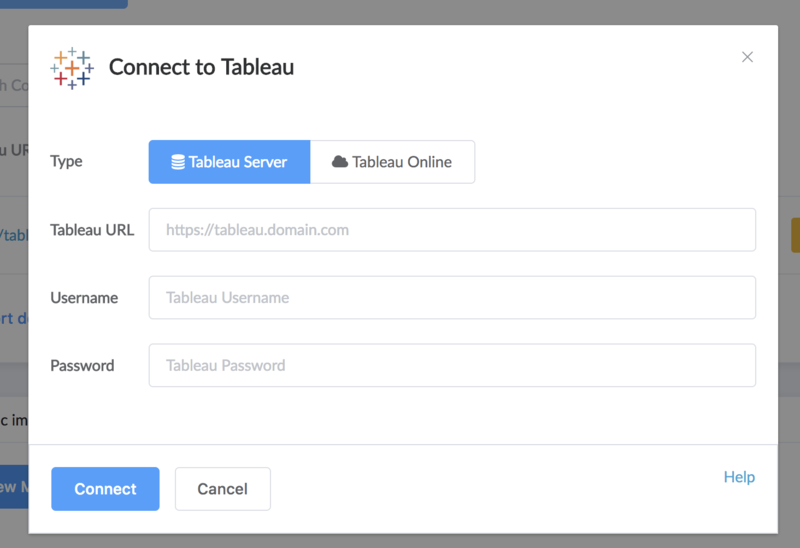 So, set up your Tableau connection and get started with real data. That's the most important things to get going. If you have done, create a report with your most important data and learn how to get the most out of your evaluation.